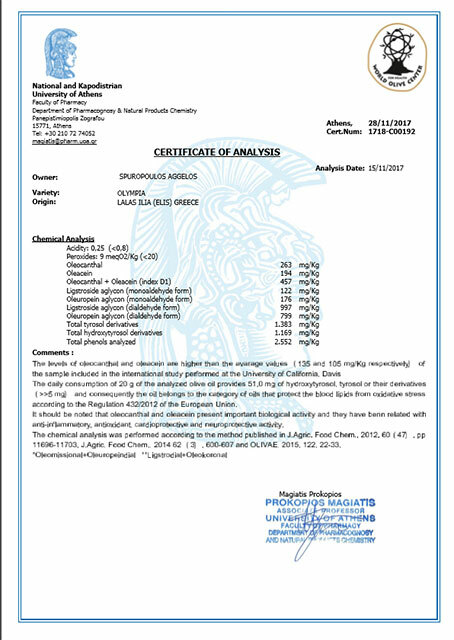 In 2018 we received the GOLD AWARD for a high polyphenol count from the Department of Pharmacy of the National and Kapodistrian University of Athens. 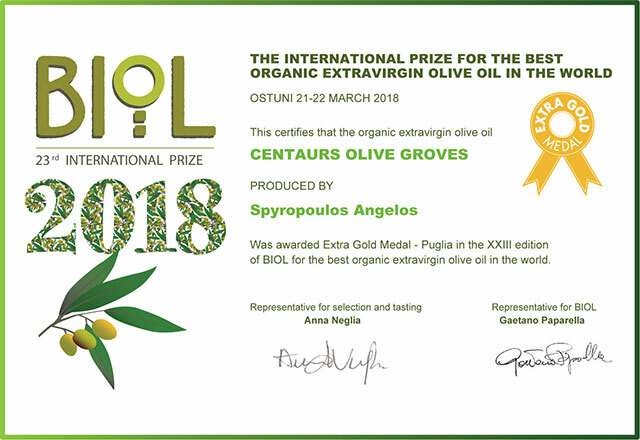 At the 23rd Biol International Competition for Organic Olive Oil held in Ostuni, Italy, in March 2018, Centaurs Olive Grove received the EXTRA GOLD Medal for the Best Organic Extra Virgin Olive Oil in the World. 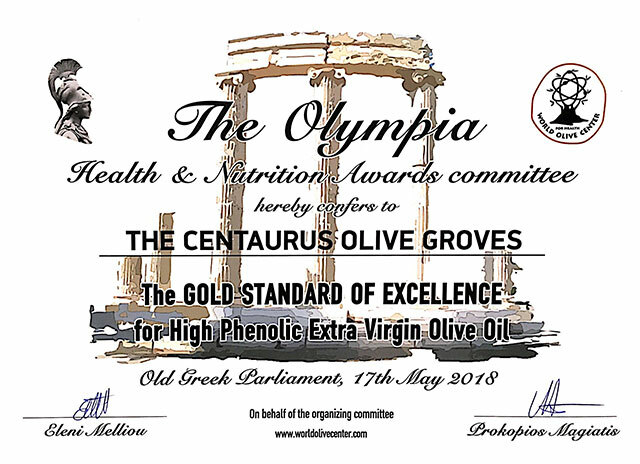 This International Medal for the Best Organic Extra Virgin Olive Oil in the World recognised the certified quality of Centaurs Olive Grove olive oil which is produced by Mr. Spyropoulos Angelos. 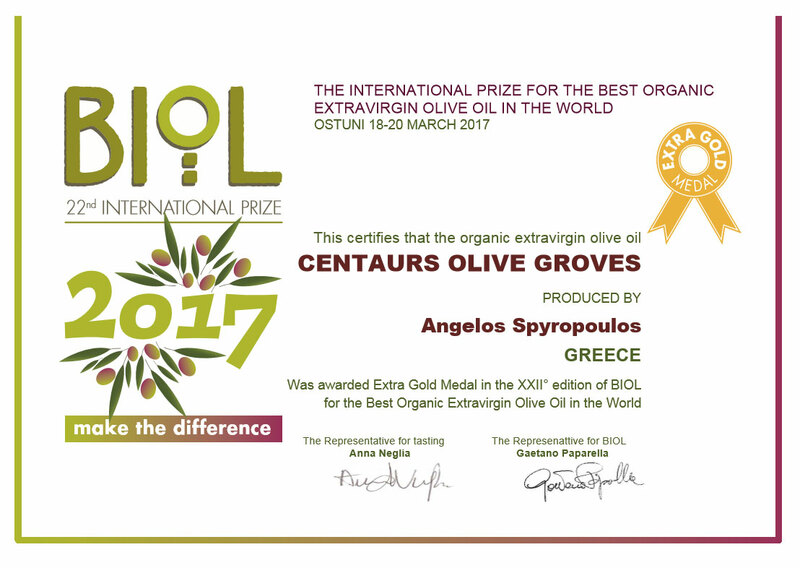 In an International Contest held in Italy on March 2017, the Centaurs Olive Groves took a Prize in the Extra Gold Olive Oil Contest. 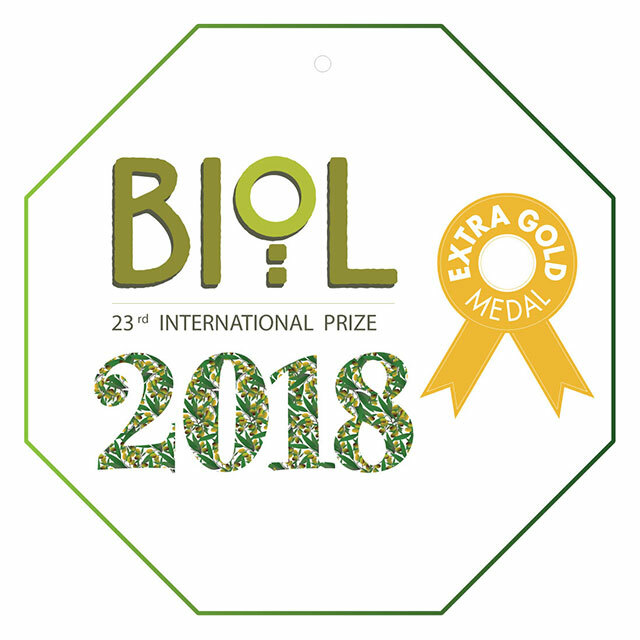 Edition XXII of an International Biol Prize Competition. In 2016 we took the second Biolmedia Award, both for the rich taste and aroma of our olive oil, as well as for its purity. 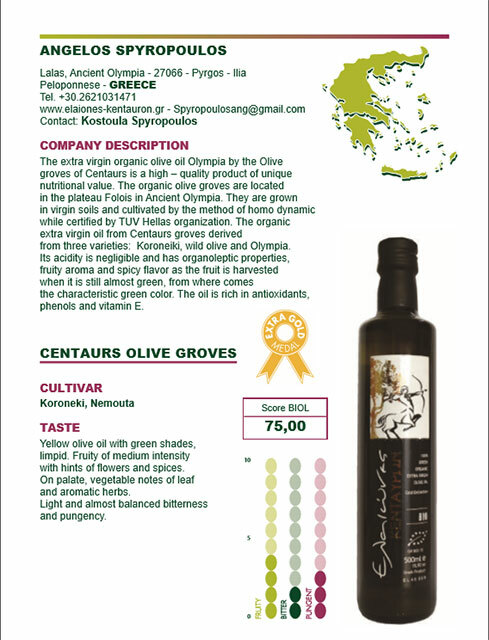 In particular, on the occasion of the celebration of the third edition of the BIOL Novello Prize, in which writers, journalists from around the world participated, a jury of renowned specified tasters tasted and highlighted the Centaurus Olive Groves - presented by Angelos Spyropoulos - for Unique flavor and gave him the Biolmedia Award. 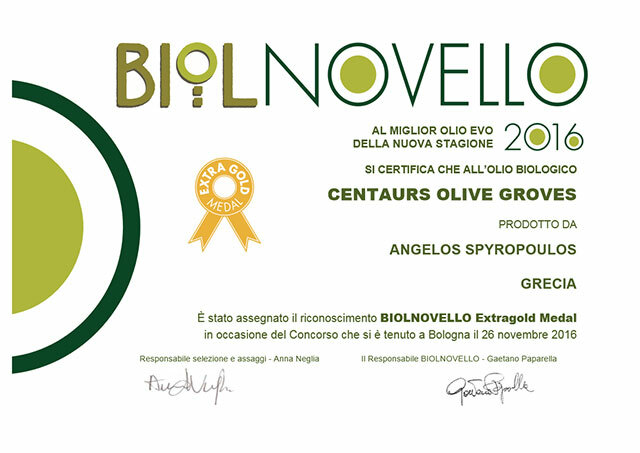 In the international contest of BIOL Novello in Italy, in 2016, for Green Olive Oils, we took the EXTRA GOLD Award.